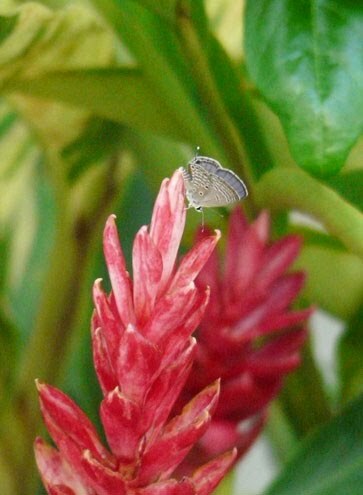 Creme's great outdoor is none other than the little garden at our estate. She always yearns to go there. She's at her happiest when I bring her down for a sniff sniff and a nom nom (of the grass). 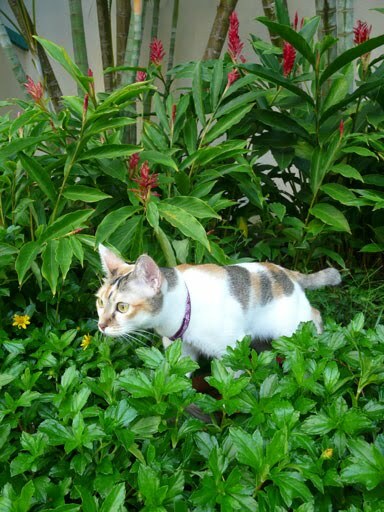 Sometimes I wonder if I should really let her wander around our estate. We've done that before, several times. But asking her to come back home is a huge challenge! Firstly, she definitely can't press the lift button to go up to her home. But when we go and fetch her back, she just won't let us take her. She would climb up and down the tree until she pants or hide in the bush. We tried luring her with her favourite bird, she's too smart to fall for it. 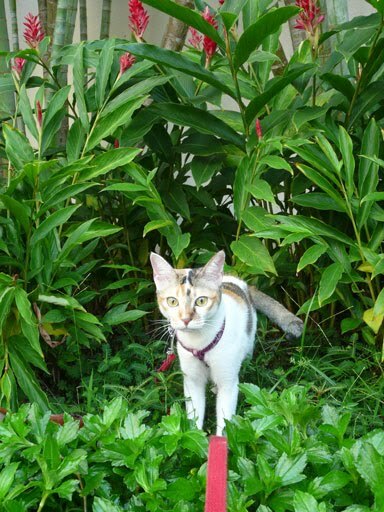 We would be out in the garden for 1 hour before we manage to grab hold of her. 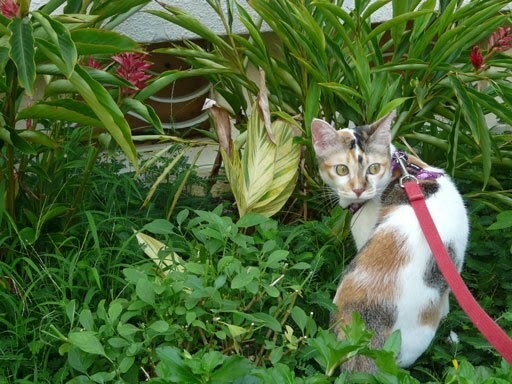 So, we got a harness and a leash. That's the best compromise we can make. 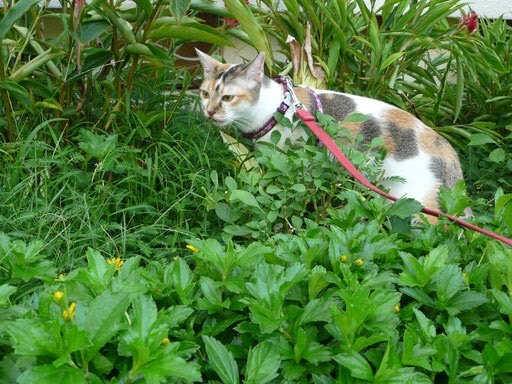 Here's Creme enjoying her 'great outdoor' walk on a Sunday morning. 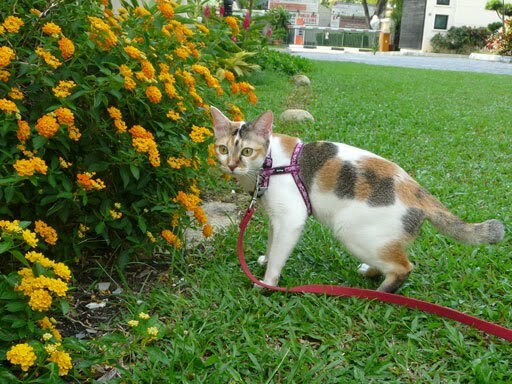 She's not a flower fan, she'd rather go for the grass or lalang.